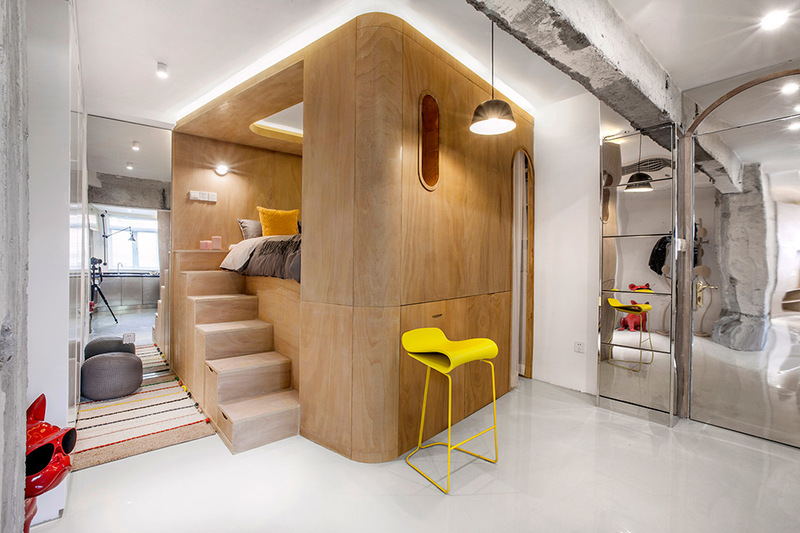 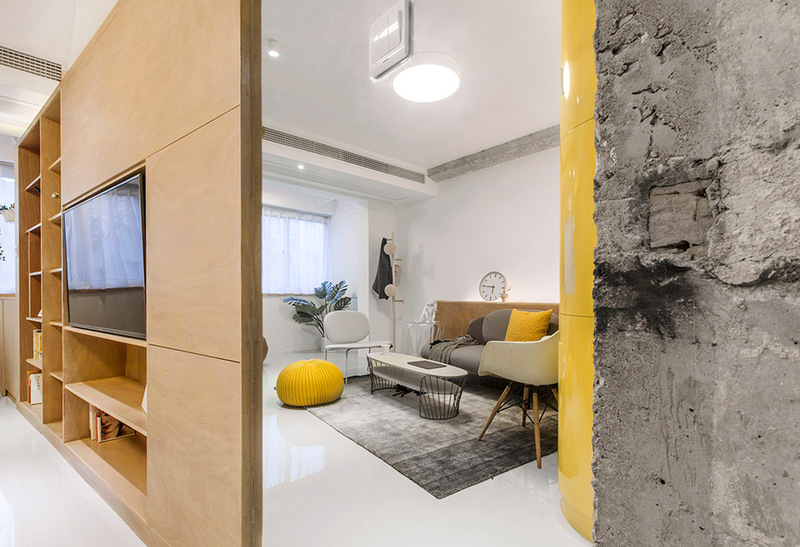 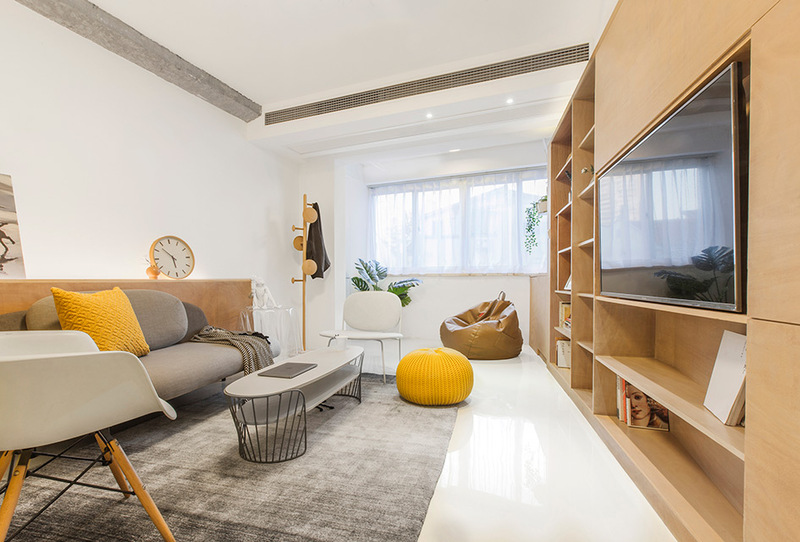 This apartment in Shanghai has only 48 sqm (517 sqft) of a floor area, but Chinese studio TOWOdesign managed to arrange inside a living room with a TV wall, a kitchen and a dining area, a bedroom with a double bed, a bathroom, and many storage spaces. 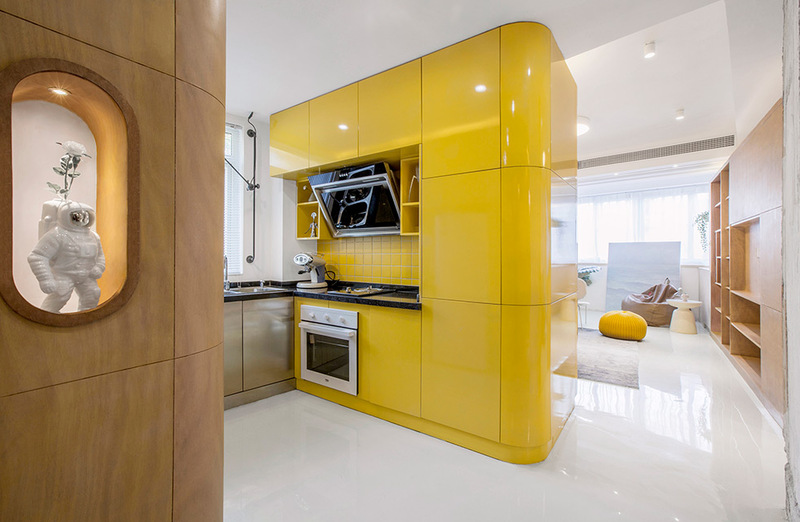 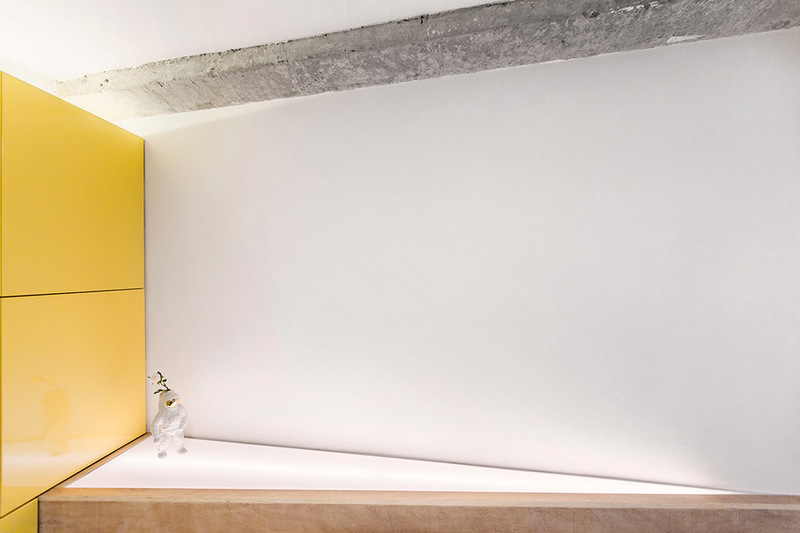 The designers turned the initial space consisted of regular rooms into a continuous flowing space with the yellow kitchen cabinet in its center. 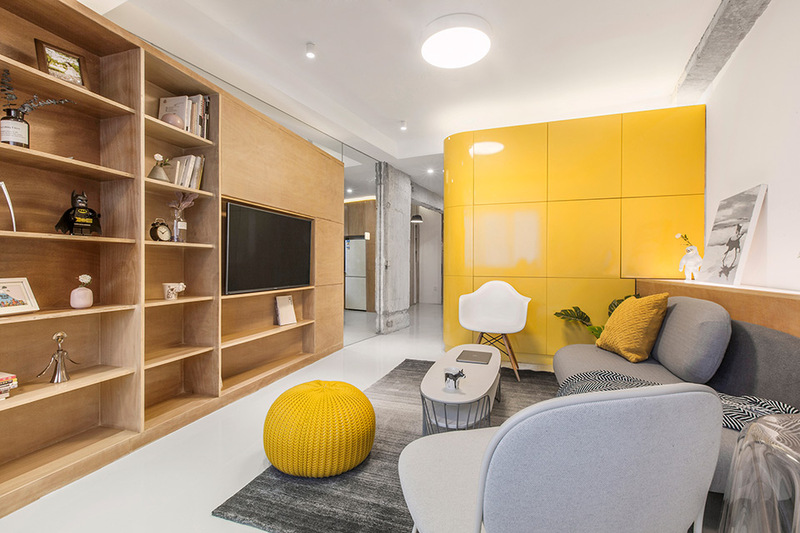 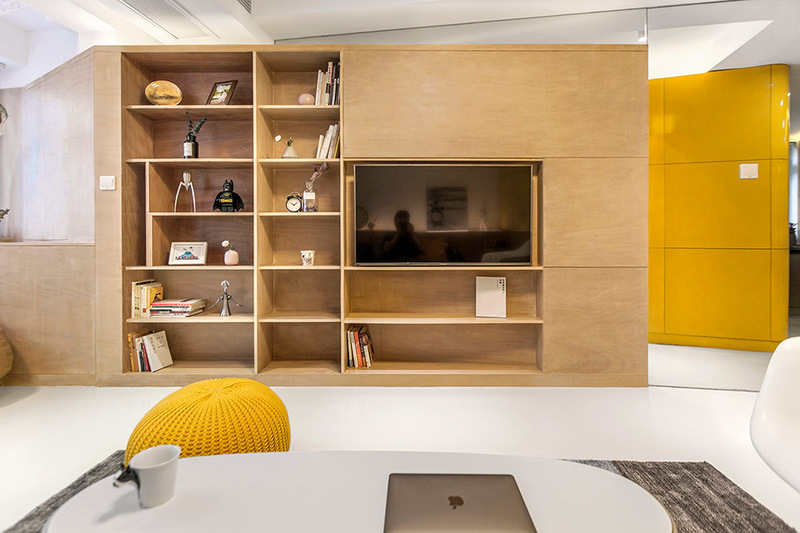 To use the entire space more effective, TOWOdesign arranged four function boxes that integrate daily functions and put them inside the apartment. 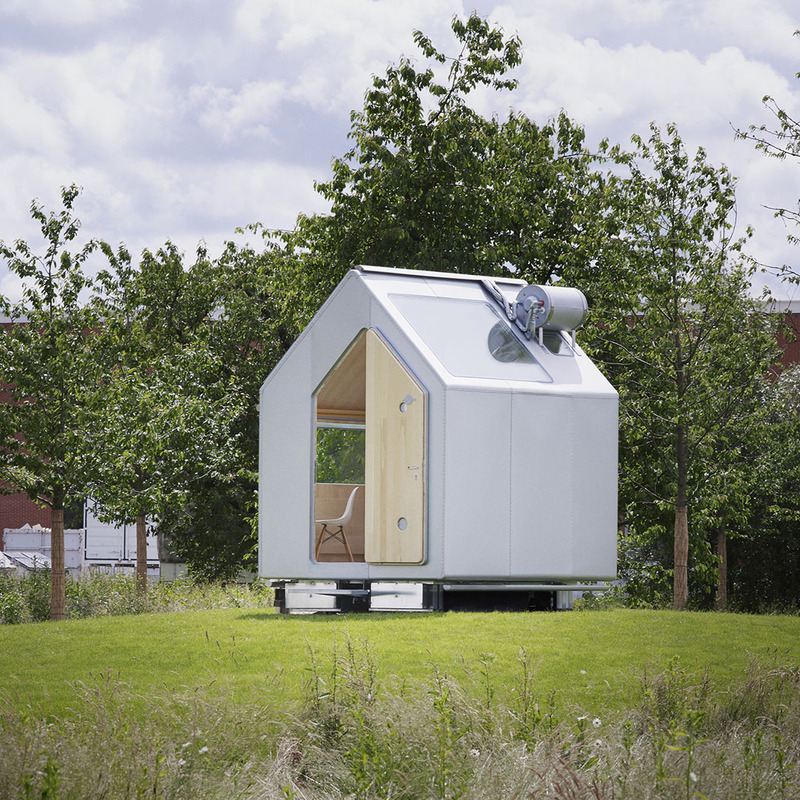 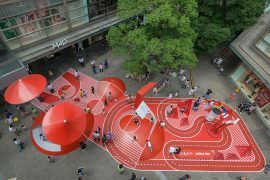 Between these functional boxes, innovative activity areas were created. 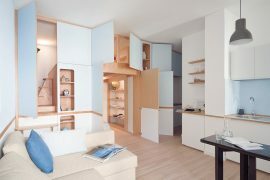 However, arranging the function boxes in this small space caused some contradictions. 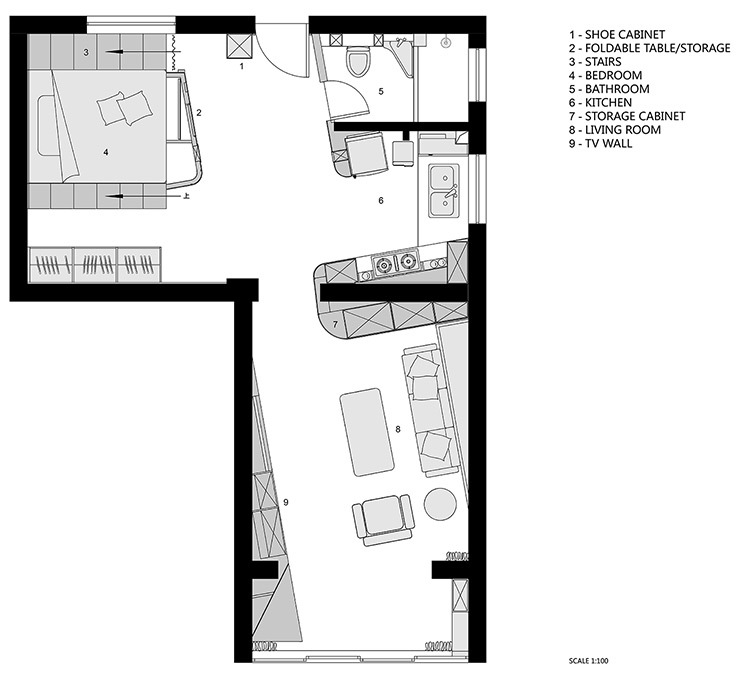 For example, the entertainment box blocked the overall flow line and view of the whole space. 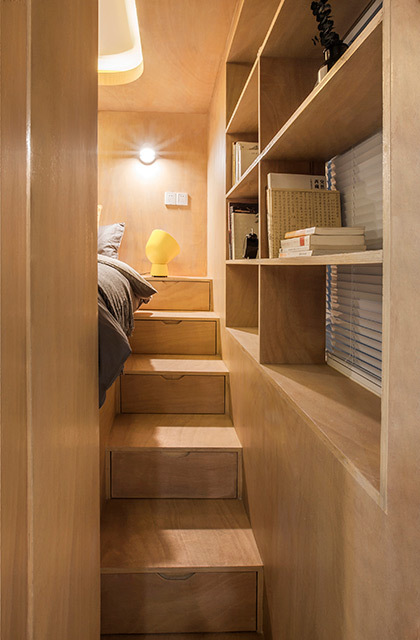 To solve these problems, the designers rotated all the function boxes by 10 degrees. 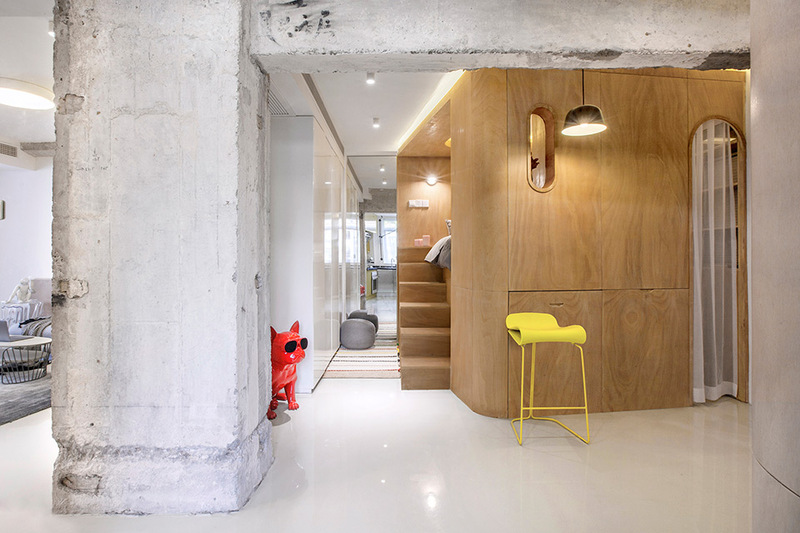 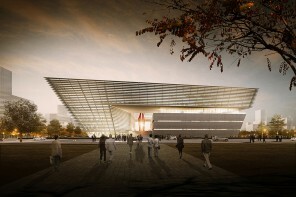 While respecting the nature of the space, the designers enlarged it through creative and practical design methods. 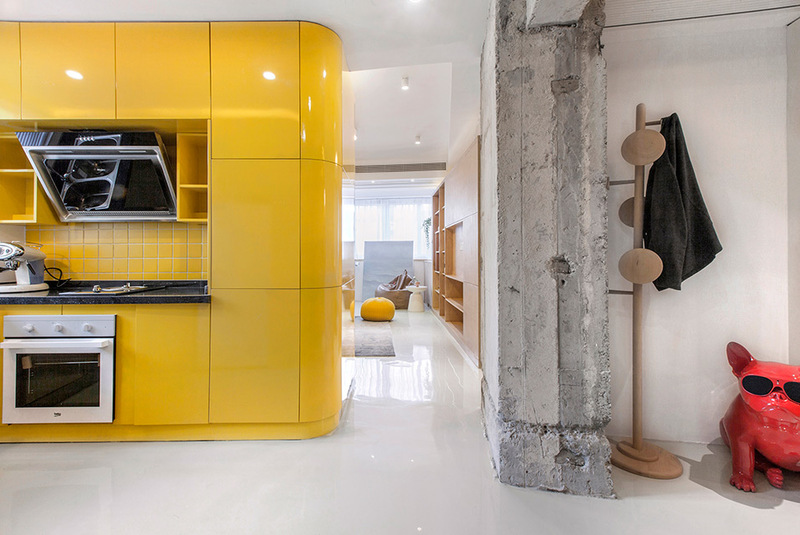 The storage area interspersed in different functional boxes in various ways occupies the largest volume inside the apartment. 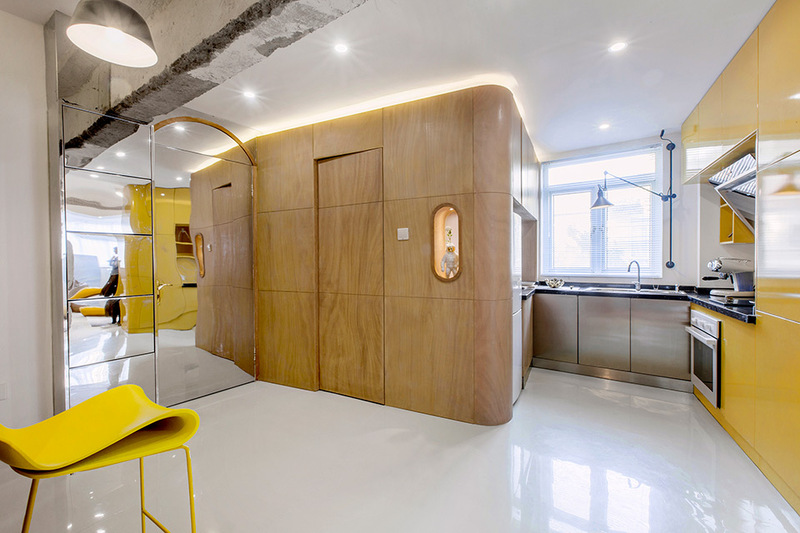 The open kitchen, foldable dining table, and hidden toilet maximize the use of every inch of the interior. 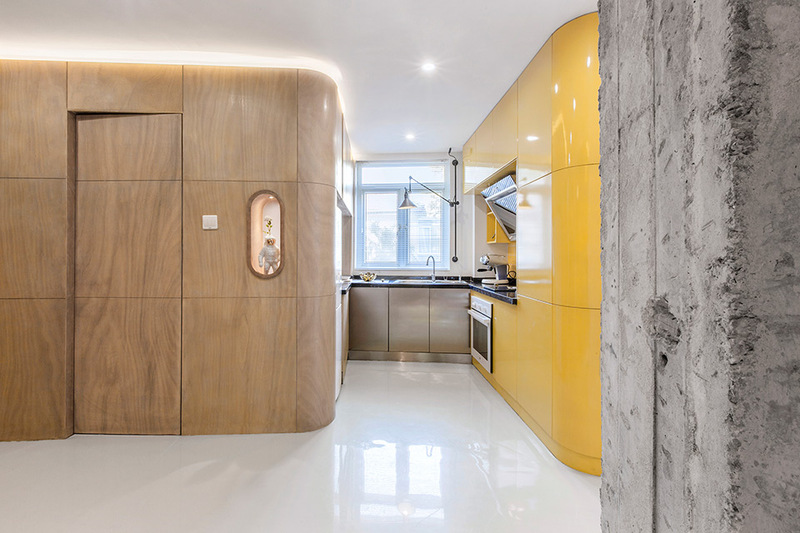 To make the interior look more spacious, TOWOdesign installed various mirror elements. 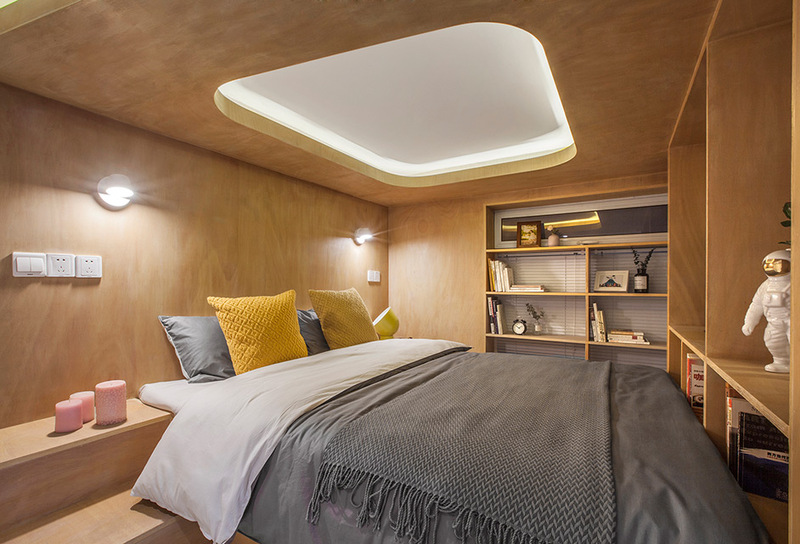 In China, it is a taboo for people to see themselves in a mirror while lying in bed, so the designers cleverly used the reflection angle and position of mirrors to satisfy the visual spatial extension while avoiding mirror interference in daily life.